As a partner at the firm’s inception, Ms. Duffy has played a key role in managing the firm while maintaining an active litigation practice with a focus on complex claims, third-party recoveries and §120 discrimination defense. Ms. Duffy has been actively involved with the Bar Association of Erie County and the New York State Bar Association since 1985, serving as Chair of the Workers’ Compensation Division of the Torts, Insurance and Compensation Law Section of the NYSBA from 2002 to 2004 and as past Chair of the Workers’ Compensation Committee of the Bar Association of Erie County. She is a frequent presenter at the firm’s annual seminar and for the Erie County and New York State Bar Associations on numerous topics including employers' rights under WCL §29, §120 discrimination and loss of wage earning capacity. She is active with the National Workers’ Compensation Defense Network, of which Hamberger & Weiss is the New York member, where she has presented as part of a panel discussion on the effects of narcotics on the claimant’s return to work. Ms. Duffy is listed in The Best Lawyers in America in the field of Workers’ Compensation Law and was inducted as a Fellow in the College of Workers’ Compensation Lawyers in 2012. 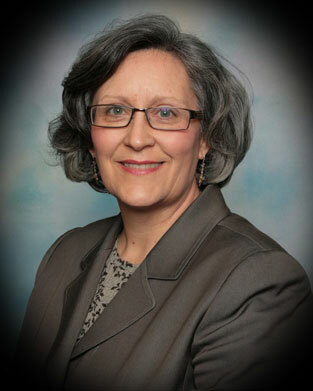 With a keen interest in legislation and policy issues affecting workers’ compensation, she has been a participant in numerous projects, including as a member of the Advisory Committee on the Recodification of the New York State Workers’ Compensation Law and as a team member for the Business Council of New York on the Governor’s Task Force, which worked to establish procedures and guidelines to effectuate the 2007 reform legislation on loss of wage earning capacity and permanent partial disability benefit caps. Ms. Duffy is a member of the New York State and Erie County Bar Associations and a past member of the Attorney Focus Group and Advisory Council. “Handling the Basic Workers’ Compensation claim in New York” published by the New York State Bar Association. Susan lives in East Aurora with her husband and son. Her interests include reading, cooking and antiquing.